While we were returning from a summer camping trip out West, my husband and I found the charming prairie town of Gothenburg, which bills itself as the “Pony Express Capital of Nebraska”. Here, you'll find two of the few remaining Pony Express stations, including one on private land 4 miles south of town. We explored the restored and relocated Sam Macchette's Station in Ehmen Park downtown. The station contained interesting artifacts, including saddles, maps and mailbags from 1860-61. A friendly volunteer showed us the ads for riders, who were required to be 18 or younger, skinny and willing to risk death daily — “orphans preferred” — for the princely sum of $25 per week. Still, the station keepers were even more at risk. We could see why the service only lasted 16 months. Gothenburg is where U.S. Highway 30 meets State Highway 47 in south-central Nebraska, just north of I-80 and about 33 miles southeast of North Platte. 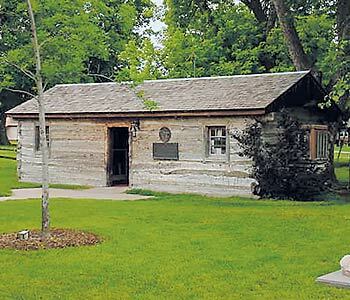 The Pony Express Station (1500 Lake Ave.) is open 8 a.m. to 8 p.m. daily June through August; 9 a.m. to 6 p.m. in May and September. For details, phone 1-308-537-2860.